Scene 21 (2:07:05-2:10:21): Abagnale’s Stint at the F.B.I. 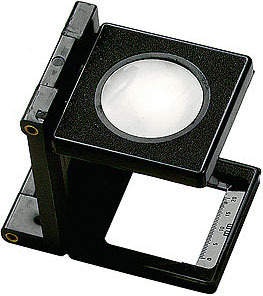 It’s not a real loupe — a real printer’s loupe magnifies much more than the household hand lens — but that would confuse the movie-going public. 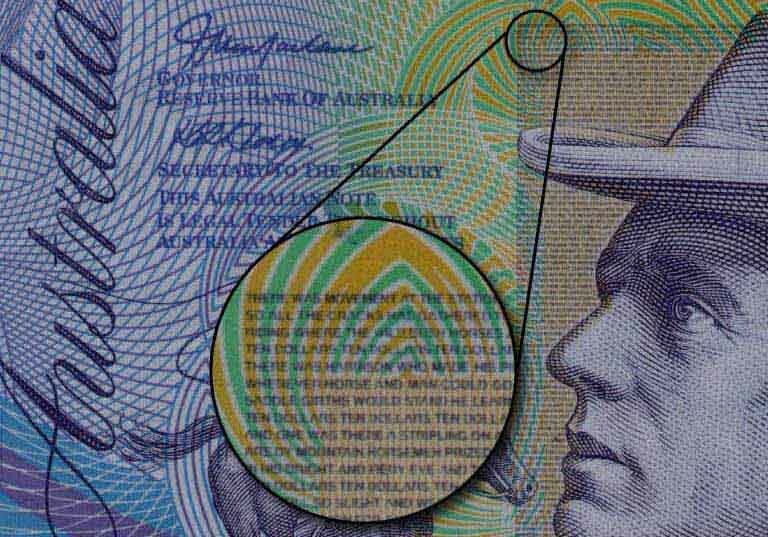 You see it flying over the check for a few seconds and are supposed to think “magnifying glass!”. Showing the literal reality is ugly and would leave the audience befuddled — judge for yourselves! In such scenes, clarity and prettiness is chosen over realism. 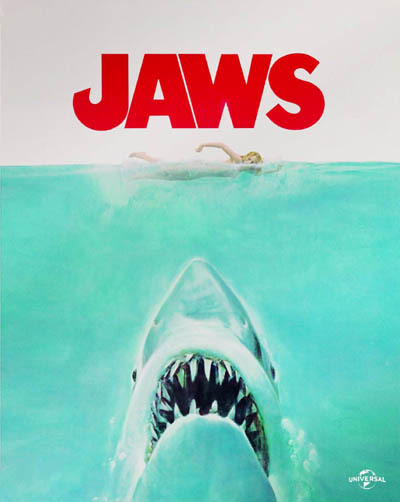 It’s the same reason why Spielberg chose the arm of a living person over a genuinely decomposed, severed arm in that beach scene with the deputy sheriff in “Jaws”: the reality didn’t look right! (Stanley Kubrick said it most succintly: “Real is good, interesting is better!”) This is directly linked to the “suspension of disbelief”, a crucial ingredient of any movie. To some extent, Hanratty’s and Abagnale’s analysis is part of the forensic discipline called questioned document examination (“QDE”). And why not: with Dexter, we’ve already got a blood splatter specialist on the Miami police force. It just so happens that he’s also… a serial killer. 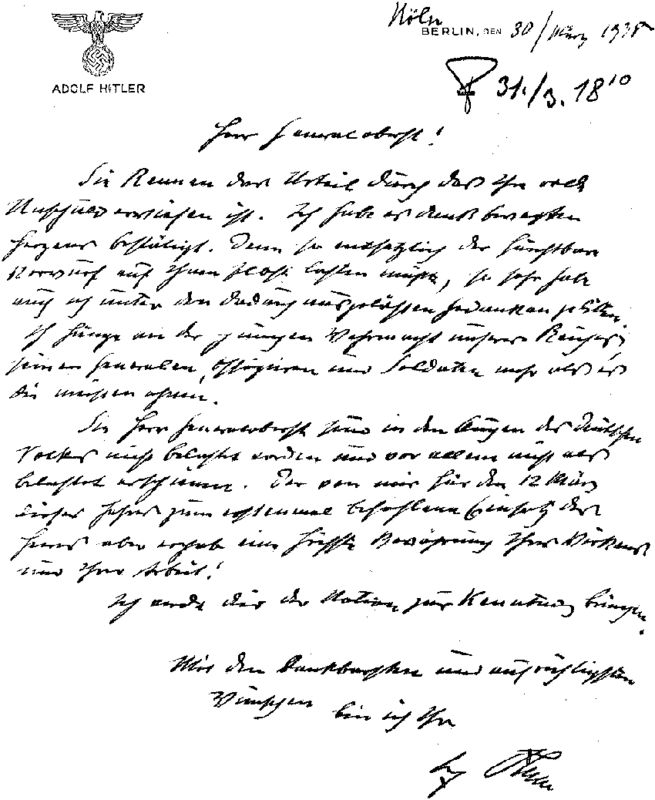 Sure, the handwriting was analyzed, but only to ascertain if it could indeed have been Hitler’s longhand. Putting aside the numerous historical inaccuracies, the forensic analysis showed that modern paper and modern ink was used. And it’s not just nerdy F.B.I. agents that do this sort of thing: there’s actually an “American Society for Testing and Materials” (“ASTM”) that wants to advance the expertise! And they’ll have you know that E30.02 is the Subcommittee for Questioned Documents, and that E2494-08 is the Standard Guide for Examination of Typewritten Items! There are similar standards for paper cuts, tears and perforations and for fracture patterns and paper fibre impressions on single-strike film ribbons and typed text... And, oh, you should also join the “American Society of Questioned Document Examiners” (“ASQDE”) if you’re interested! 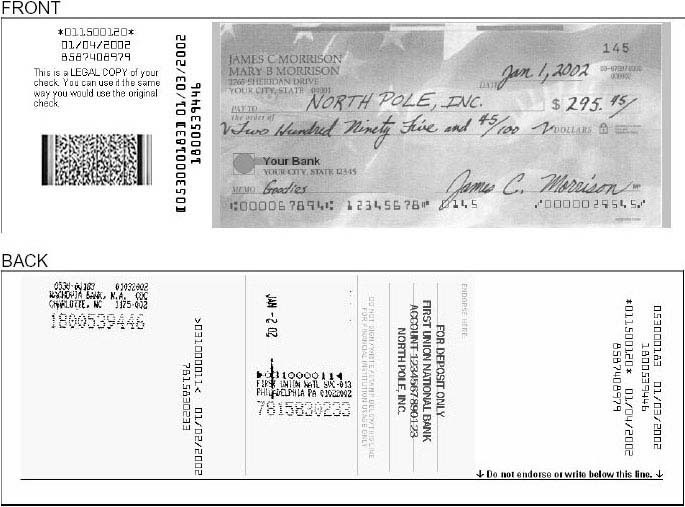 Of course, forensic science can be applied to fake checks too, but that has become much harder the last years. 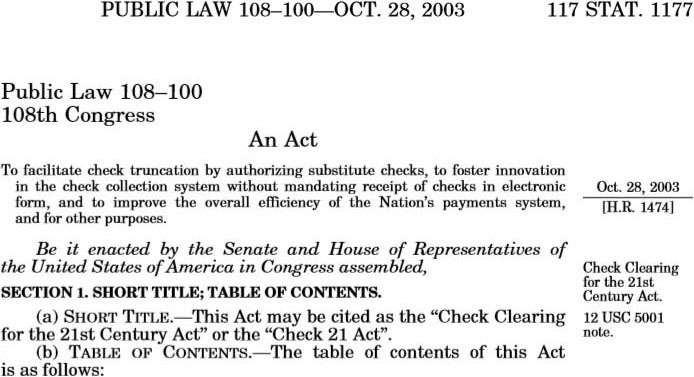 Here’s why: the “Check 21” legislation, short for the “Check Clearing for the 21 Century Act”, voted on 28 October 2003 and effective 1 year later. In short, this law introduced “image reproduction documents” or “substitute checks”. 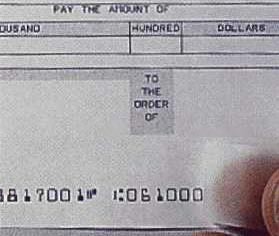 The paper reproduction of a check (after its scanning and with some data such as the codeline overlayed in the image) received the same legal value as the original check. 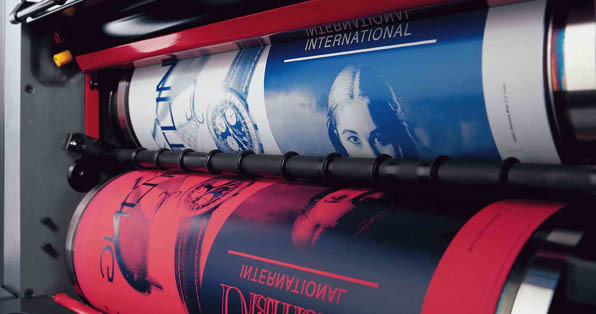 Scanned images — understand that check readers typically scan at the low resolution of 240 dpi tops! — now replace the paper document whose every detail one could study with a printer’s loupe...! The stated objective of the act was to process checks faster — fair enough, it’s in the interest of both the account holder and the bank! — but you can’t ignore the serious drawback. The paper check got removed (“truncated” in legalese) from the check clearing process, the electronic image has taken its place. Does the new practice of scanning checks invalidate the security features of the paper check then? Not at all! Indeed, the paper-based security features don’t survive the scanning process. But the purpose of these techniques — rosettes, vignettes, high-resolution borders, thermochromatic ink, microprinting, abrasion ink etc. — is to discriminate real and fake checks before they’re scanned, when they’re presented as payment. 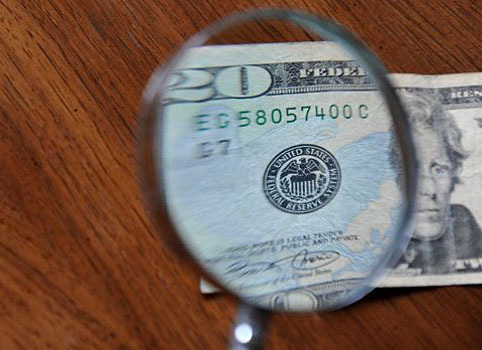 As also holds for counterfeit money, security printing allows the educated bank teller, sales clerk in the shop (and possibly you) to recognize a fake check when it’s handed over to them! The letters you see magnified here are no bigger than 0.1 mm.! Not only too small to be picked up by a scanner and copier, but also way too small for the normal offset printing press. You can’t get this kind of detail engraved on the printing plate, it doesn’t offer that kind of resolution! 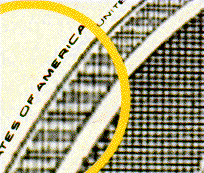 Try to reproduce this kind of printing and at best you’ll get a single dot for a character, say, a “W”, or a dotted line for a series of characters such as “United States of America”. Most people think that a modern image scanner offers sufficient image resolution to pick up details that are much smaller than 1 mm., but that’s wrong. Let’s clear that misunderstanding up quickly! 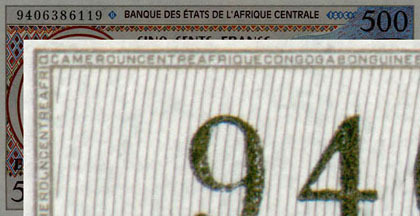 For normal OCR purposes, a document is scanned at 300 dpi. This unit of measure indicates how many samples are taken per linear inch — 300 in this case. When an image is scanned at 300 dpi, it takes 300 dots to form a line 1” long. Seems like an awful lot, doesn’t it? Well... 300 pixels per 2.54 cm. corresponds to 118 dots per cm., about 12 pixels per mm. Even if you double the image resolution to 600 dpi — photos, pictures etc. are in fact almost always scanned at a significantly lower resolution than documents to be recognized with OCR software —, you’re still limited to 24 pixels per mm. The practice of “washing checks” is explained in this scene: the data of real checks are removed with chemicals and the checks are filled out again. Abagnale and Hanratty discuss the use of bleach, hydrychloride and a new chemical — the (nail polish remover) acetone is suspected. Abagnale: It’s a real check. 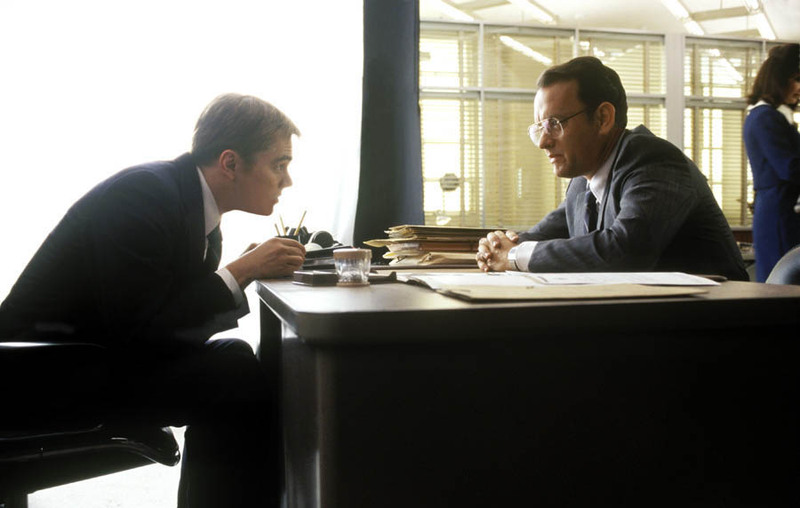 Hanratty: [...] It’s been washed. The only thing original is the signature. Abagnale: [...] I mean, this isn’t hydrochloride or bleach. Hanratty: [...] It’s something new. Maybe a nail polish remover where the acetone removes the ink that’s not been printed. Abagnale talks about the use of bleach and hydrochloride to erase data on printed documents in detail in his book “The Art of the Steal”: laserprinted checks are easier to forge, because the ink can be removed very easily. Laser printers don’t shoot ink into the paper, they fix toner on the paper. Now a laser printer is a non-impact printer — in other words, there’s no ink put into the paper. A matrix printer shoots ink into the paper. 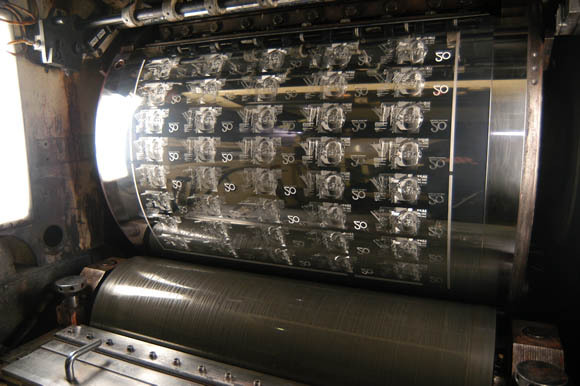 A jet printer puts ink into the paper. A typewriter puts ink into the paper via the ribbon. Years ago, […] a forger […] had to extract the ink using bleaches, solvents, acetones, hydrochlorides, polarized chemicals, non-polarized chemicals. 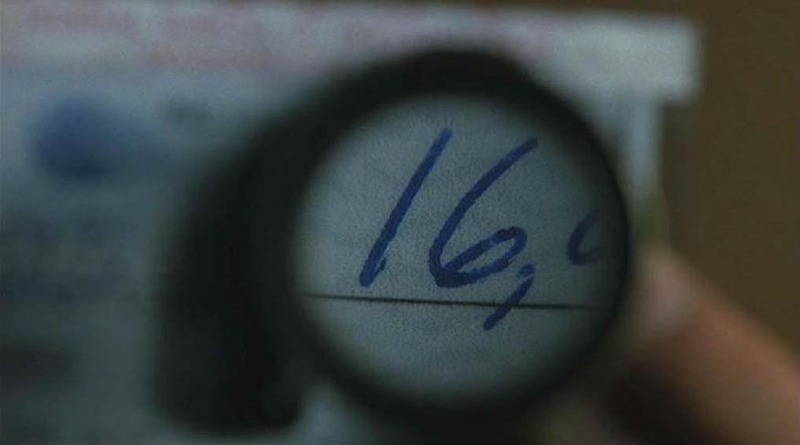 He had to take each letter, and do it slowly, or else the check would become abrasive and you’d notice it. With today’s laser checks, criminals have devised a new methodology. They take a piece of Scotch tape — the gray, cloudy kind that doesn’t rip the paper when you peel it off — and put it over the dollar amount and over the payee name. They use a fingernail to rub it down hard over the check, and then lift off the tape. The toner attaches to the Scotch tape and gets pulled from the fiber of the paper. If there’s any laser toner residue left over, a little high-polymer plastic eraser will take care of that. 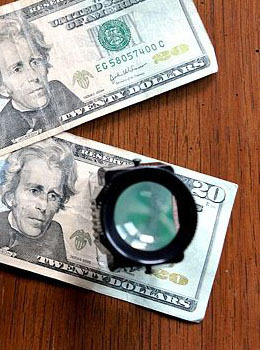 Sometimes forgers use dental picks, razor blades, or dry ice to remove the toner, but Scotch tape works quite nicely. It used to be that the only chemical banks had to worry about was bleach. If banks used bleach-sensitive paper, they’d be protected. Today no forger uses bleach. Instead, all sorts of simple chemicals, like acetone, are used to modify checks. 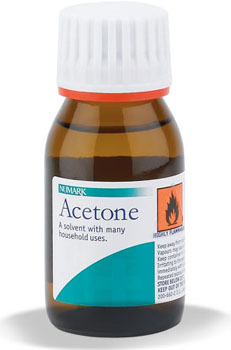 What’s the product of choice from which to get acetones? Nail polish remover. It’s 99 percent acetone. It is of course smart for a forger to put some Scotch tape over the signature before he washes the check with chemicals! That way, the original signature remains on the check, as Hanratty points out. Abagnale’s latest book spells this trick out word for word. Such paper is called “secure paper stock”. There are only a few paper types available: Standard Register offers SR Direct secure check stock, paper manufacturer Boise offers a similar solution — it was formerly aptly named “Pentagon” paper. 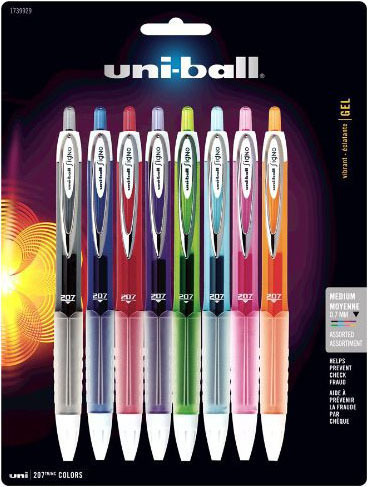 When you’re talking about manually filled out checks, there’s an efficient technique to thwart check washing: use the Signo Uni-ball ballpoints codeveloped by Abagnale! This is the only “safe” pen — read: unalterable by chemicals and solvents — in the world; some 20 million units are sold in the U.S. each year. 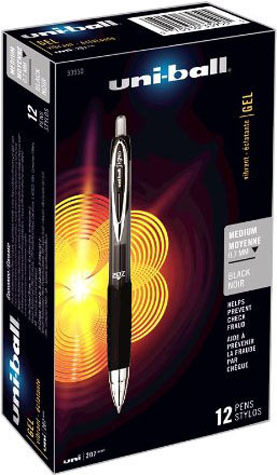 A Signo Uni-ball ballpoint costs some $2, refills are available. Abrasion ink, also called “abrasive ink”, allows you to detect when laser printed text was removed! It’s a white transparent ink that appears grey when rubbed with a coin. Some abrasion inks fluoresce under ultraviolet lighting. Abrasion ink can help indicate when laserprinted text has been picked away. And it is of course difficult to produce and can’t be copied. And this is a further consideration on check washing. Checks are often typed on a self-correcting typewriter; those typewriters use ribbons that are black and shiny. The black, shiny ribbon is polymer, a type of plastic. You’re putting plastic, not ink, on the check! The white self-correcting tape is a very durable form of coated transparent tape. 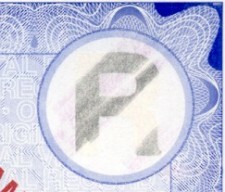 Ordinary transparent tape can be used to forge such checks: lay the tape over the letters to be removed, rub the tape lightly with a pen or pencil and lift the tape away. The typed letters are now on the tape, no longer on the check! “The Art of the Steal” was published in November 2001, which means Abagnale’s personal check has been available for years! It’s called the “SuperCheck” and the company SafeChecks produces it. (Any order you place is checked with your bank.) Three years later, Abagnale created the “SuperBusinessCheck”, it’s also available from SafeChecks. He now feels that you should use credit cards instead. Checks contains too much personal information, they constitute an unacceptable risk of identity theft. The truth is [...] that I rarely write checks anymore, and I don’t feel you should either. It’s just too dangerous. Every check you write to the hairstylist or the cleaner has your name and signature, your bank’s name and address, your account number, and your routing number. Salespeople routinely ask for a driver’s license or work number, as well as other personal information, and scribble that on the check. These days you never get that check back. 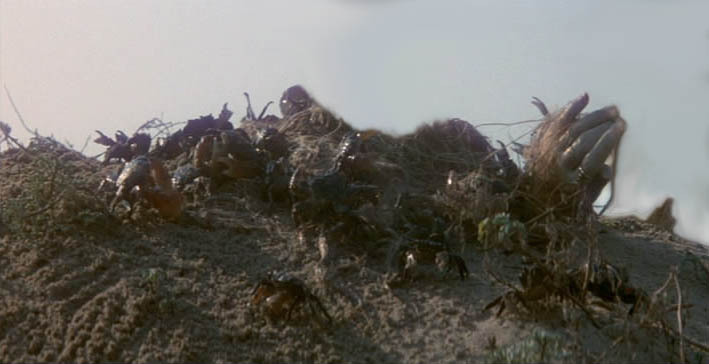 Was it shredded, or not? Did somebody make a copy of it? Certainly the check front alone contained more than enough information for somebody to draft on your bank account — or to become you. I’d like to keep that information to myself. I’ve thought long and hard about this point, and my conclusion is, Why would you write a check today? I prefer to walk into a supermarket and put my purchases on my credit card. 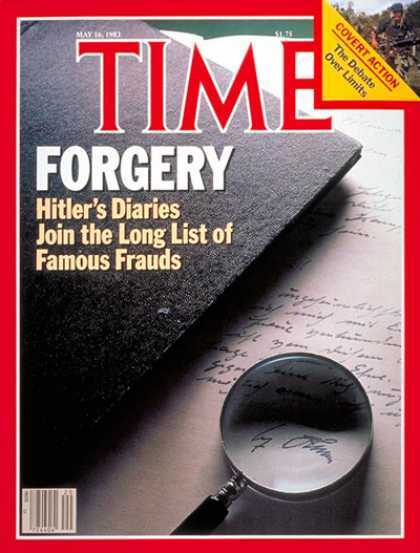 The paperhanger — slang for “check forger” — discussed by Abagnale and Hanratty does more than washing checks, he also steals checks out of mailboxes. (Legally speaking, he commits mail fraud!) Not amazing, given the American situation where people write checks to pay their bills and send them off in an envelope. There are lots of scams with mailboxes, the nicest one of which is this. There’s no way I’m going to fall for that. I’ve done it. Thirty-five years ago as a teenager, I pulled the scam myself. I dressed up in a guard’s uniform, put a sign up on a night box at an airport, and said it was out of order. People came by and put their money right in my bag. I made thirty-five thousand dollars in about an hour. 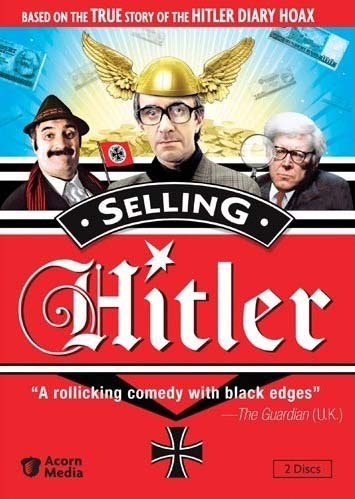 [...] It’s a fairly easy rip-off, because the only props that are required are an “out-of-order” sign, a receptacle of some sort, and a standard issue security guard uniform. And your wardrobe can’t malfunction, we should add!